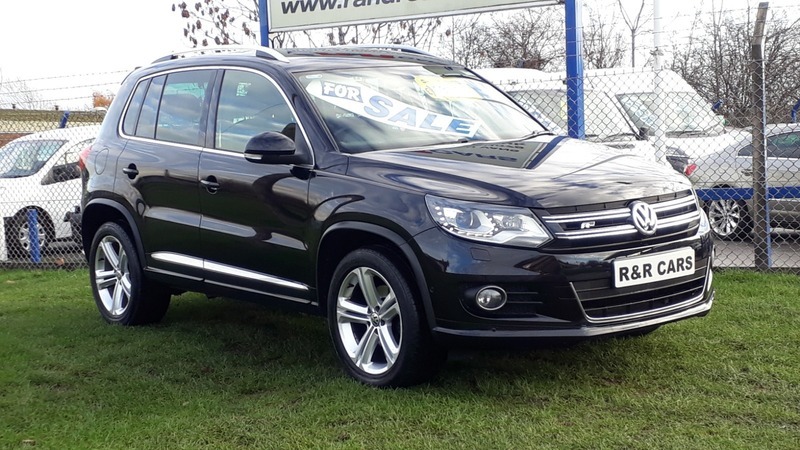 2013 Volkswagen Tiguan 2.0TDI 4Motion BlueMotion Tech DSG R Line. 53,000 miles with full service history stamped at 9k, 19k, 29k, 40k and 53k including cambelt and 4 new tyres. This car includes remote central locking, power steering, steering wheel controls, electric windows x 4, heated electric mirrors, rear privacy glass, air conditioning, dual climate control, start/stop, trip computer, isofix, 6 disc CD player, DAB, Bluetooth, alloys, all round parking sensors, auto headlights, front fog lights, roof rails, 4x4.